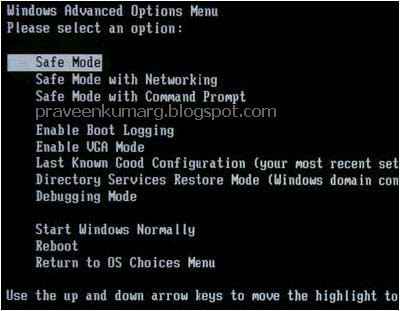 “My computer starts in safe mode only, how to make it boot into normal mode“. This type of behaviour can occur, if you install Norton Antivirus 2001 on your windows XP computer. In order to solve this issue, disable the auto-protect feature of Norton AntiVirus 2001. 1. First restart your computer as expected it will boot Safe mode. 2. Open Start –> Run and type msconfig and press Enter. 3. Click the radio button which says Selective startup. 4. On the Static VxD tab, click to clear the NAVAP.VxD check box,and click OK.
5. Click on the Startup tab, now click to clear or uncheck the Norton Auto Protect check box, click apply and then ok.
7. Restart computer, it will now boot up in normal mode . I hope this fix Fix your Safemode Booting Problem.